Summary: 4 bedrooms, 3 bathrooms, kitchen, living room, dining room, WIFI, parking, garden, terraces, up to 9 people. The property: This fantastic villa is composed by four levels that are linked by an open wooden stairway from which you may see the main floor. On the main floor there is a large living room with a panoramic window that gives you breathtaking views of the Mediterranean, a chimney, two sofas. Summary: 2 bedrooms, 1 bathroom, kitchen, dining room, A/C, WIFI, up to 4 people. 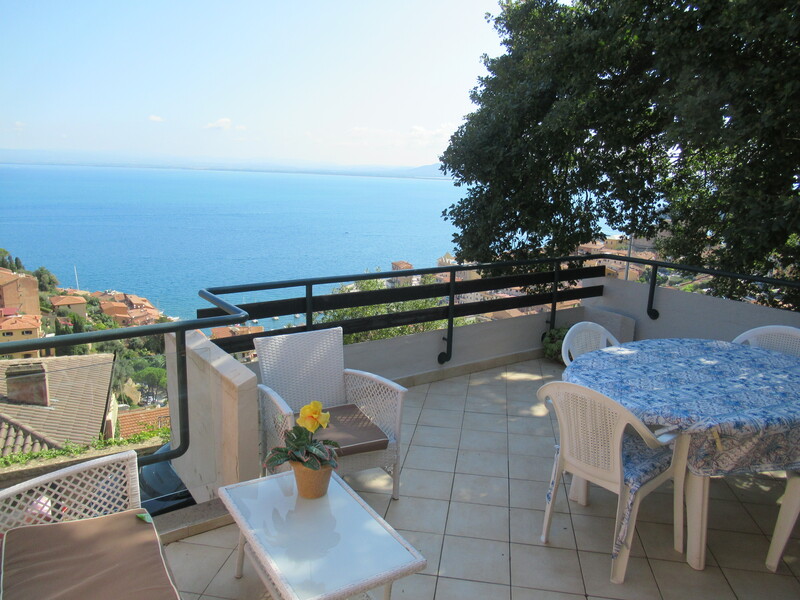 The property: This apartment has been recently renovated, it is on the 4th floor with lift. This apartment is composed by TWO BEDROOMS (one double bedroom and one with two single beds), a living room, a kitchen, one bathroom with shower and a charming BALCONY (8 m x 60 cm) from where you can see a bit of Piazza di Spagna (=Spanish Steps) and Piazza del Popolo. Summary: 2 bedrooms, 2 bathrooms, living room, kitchen, Jacuzzi, A/C, WIFI, for up to 5 people. 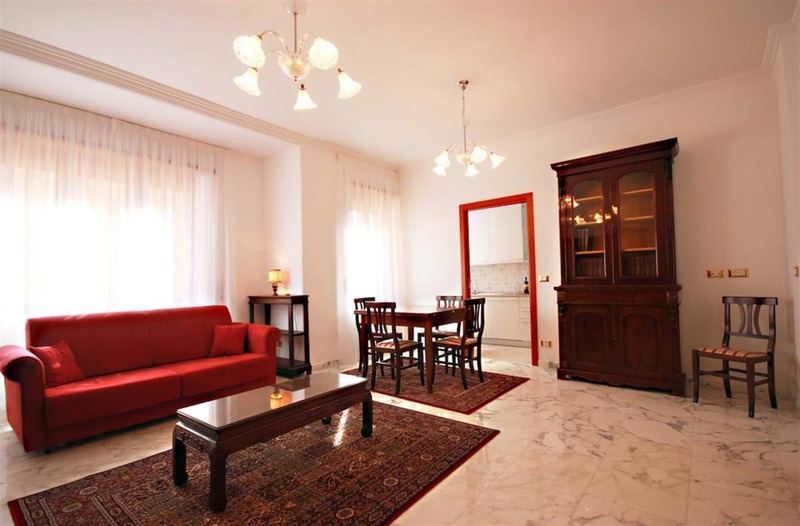 The property: This apartment has been finely renovated. It is located on the 3rd floor with lift.It is composed by a living room, a brand new kitchen, one bathroom with shower, a bathroom with a Jacuzzi bathtub, 1 double bedroom plus another bedroom with 2 single beds and a terrace. A fold up bed is available for the 5th person. 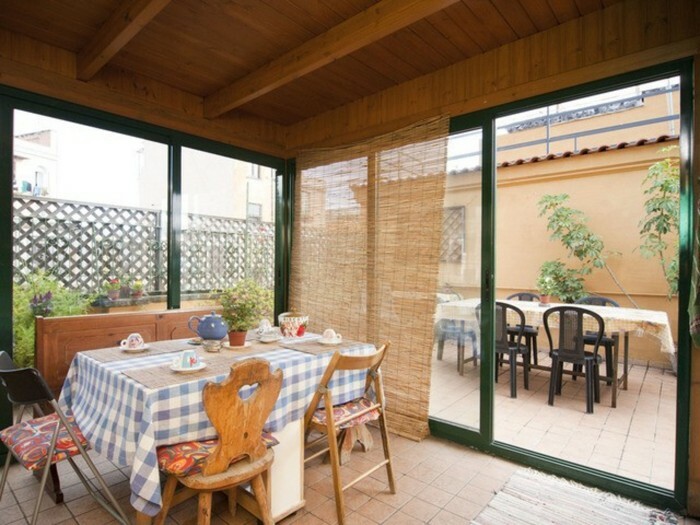 Summary: 3 bedrooms, 3 bathrooms, kitchen, terrace, wifi, up to 16 people. 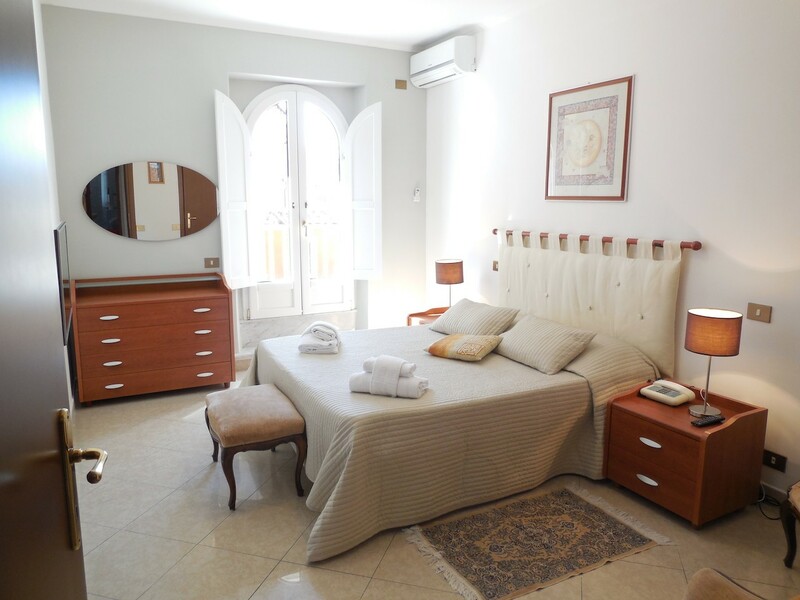 The property: This apartment is located on the 2nd and 3rd floors of a little villa. The apartment has been completely renovated and has artistically decorated floors and walls, made with recicled materials.The apartment is divided in two levels: the lower level includes 3 bedrooms, each of which has a Queen sized bed and a loft with 3 single beds (please notice that no walls separate these lofts from the bedrooms, so there is little privacy).